sTARTUp Day 2017 was simply amazing – sold out event with over 2600 attendees, 100+ speakers on four stages, different pitching competitions and mesmerizing afterparty with the headliner Tommy Cash. 8th of December 2017 is now sadly in the past but that doesn’t mean we won’t remember this year’s festival in a couple of months, maybe even years. 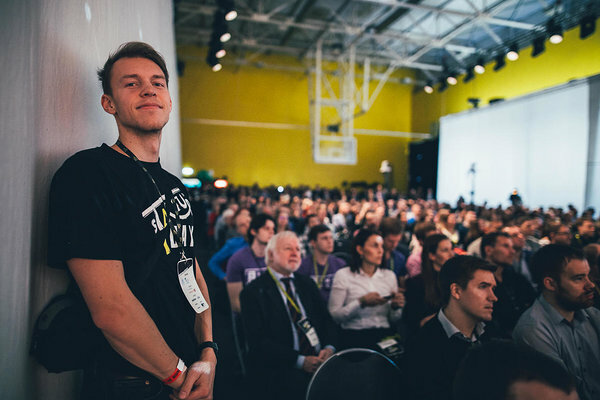 For organizers and volunteers, the day started at 8 a.m. but the biggest business festival in the Baltics was officially opened a couple of hours later by the President of the Republic of Estonia Kersti Kaljulaid. Estonia’s President emphasised the need for free spirit that’s needed to keep up with artificial intelligence and develop new technologies. She also warned that not all ideas succeed at first which perfectly tied into the theme of this year’s sTARTUp Day – “From Zero To Hero”. Obviously running a startup isn’t easy and even the biggest names in Silicon Valley have experienced their fair share of setbacks. Silicon Valley native and one of the festival’s keynote speakers Rick Rasmussen shared three stories of which one was especially striking. Having put everything into the oil business, he lost everything and had to crash at friends'. “Homelessness woke me up and made me learn you can take on challenges even at a young age and with no support. I found out that you can eat pretty well for a quarter.” told Rasmussen. “Failure has a way of working out. Entrepreneurship is like a journey through a fog. In the startup world you have to be confident with uncertainty. You don’t know where you’re going,” he added. Hearing these kind of words from a person as influential and successful as Rasmussen certainly gave food for thought for many people in the audience and being the first keynote speaker, set the tone for the whole festival – don’t give up when you first don’t succeed. For many of the 2600 investors, innovators, entrepreneurs and startupers in attendance, these thoughts didn’t ring hollow and if anything, gave more motivation to carry on with their ideas and try again even after failing at first. 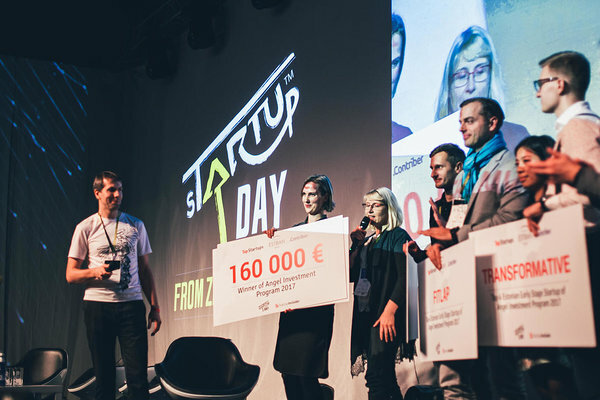 And certainly, that is what sTARTUp Day is all about – inspiring people to get involved, to not give up, learn from mistakes made by others, draw new ideas from peers and see what is hot in the incredible startup world. Besides listening to interesting speeches and lively discussions, meeting new people and expanding their network, everybody had a chance to explore around the Science Centre AHHAA and see what new interesting startups and products were on display at the Partner and Demo areas. As one attendee put it – the festival’s atmosphere was just amazing and you couldn’t go 10 meters without bumping into someone interesting or seeing something really exciting. One of the key parts of sTARTUp Day 2017 was how to start a startup, which mistakes to avoid and how to have such a pitch that investors immediately want to invest in your idea. There were many speeches on pitching, with one of the more memorable ones coming from David Beckett – a man, who has trained over 500 startups on how to pitch. He emphasised that you have to pitch with passion. But how to do it? “First step – connect with people. Investors want to see a problem and understand how big is it. Second step – be professional, listen to the audience and what they care about. Third step – pitch with passion and show why are you doing this. If you’re not passionate about your own product or the problem you’re solving, how can you communicate with passion,” said Beckett in front of a room filled to the rafters. Afterwards, three startups had the amazing opportunity to pitch to Beckett and other investors, getting immediate feedback from the investors themselves and the public. Another integral part of the festival was different pitching competitions taking place at Univesity of Tartu’s Idealab stage in the centre of the festival area. Startups had an amazing opportunity to pitch their products and gain funding for their ideas. sTARTUp Day’s own pitching competition produced one of the more memorable moments of the festival. One of the three winners was a 16-year-old founder's startup called Safe Sack. All three winners got the chance to pitch their idea on the festival’s biggest stage, and the young man certainly seized the moment, giving a super energised 3-minute pitch in front of 500 people. You can catch a little glimpse of the pitch over here. 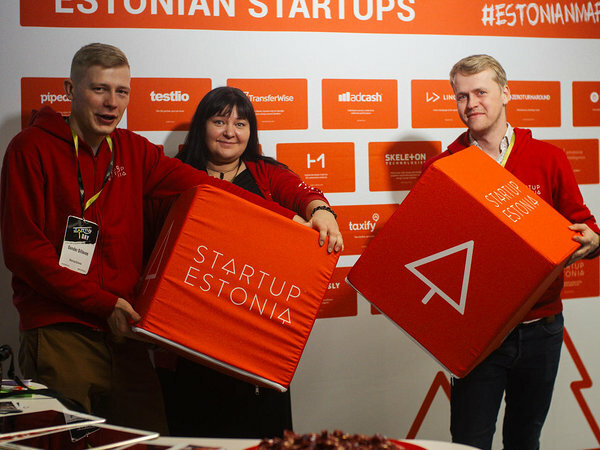 Biggest competition held during the festival was the EstBAN TOP4 competition, with the grand prize of an 160 000€ angel investment into Estonia’s best early stage startup. The big award went to GuestJoy, a solution that helps travellers connect with hotels before arrival. What does the company plan on doing with the investment? “Right now we are in 10 countries, but we want to expand and serve every EU country. With this investment, growth is within our reach as we can invest into our expansion plans – hire more developers, reach more hotels, put more into marketing, etc,” told GuestJoy’s Head of Marketing Chitralada Pensuk. The 8-hour festival day went by extremely fast. As some visitors said, there was an abundance of activities – visiting the demo area, attending eye-opening seminars, listening to thoughtful speeches, connecting with new people from all around the world. sTARTUp Day 2017 was a memorable event for everybody and if the festival itself didn’t leave a lasting impression, the after-party certainly did. Festival’s biggest stage, Starlight, was transformed into a concert venue where one of Estonia’s most successful rappers Tommy Cash performed in front of a sold-out crowd. 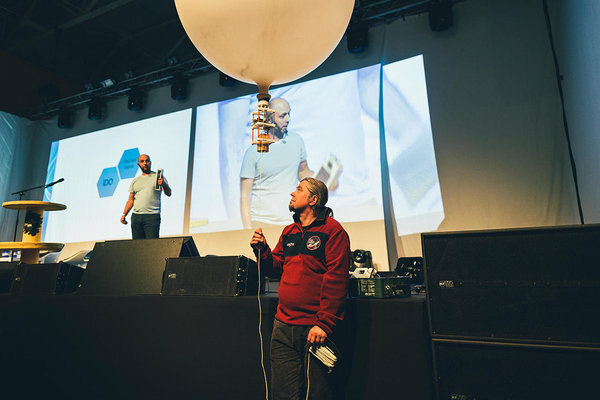 If this year’s festival was any indication, then next sTARTUp Day in January 2019 is certainly an event you don’t want to miss. This is a guest post by Hindrek Pärg. Hindrek is finishing his Bachelor’s studies in University of Tartu in journalism and communications. He has over 3 years of professional experience in the field and was one of many sTARTUp Day 2017 volunteers, being part of the marketing team.